Pendulum, The Prodigy, Skrillex, Zedd, Netsky, Noisia, System of a Down. Hi Gario, Just to be sure, I got 2 tracks on this. And it seems like the subforum has changed. I do not have access to the new one. Although my track are finished, is that intended? Thank you sir by the way to have this back on track. Chrono Trigger, Schala's Theme, "When Days Were Better"
Rockos replied to JBWest's topic in Post Your Game ReMixes! Well the point is already said. But I also find the lead a bit weirdo too. The rest of the arrangement is awesome in my own book. Rockos replied to darklordenron's topic in Post Your Game ReMixes! Nice mix there. There are a couple good idea. I like it so far. Rockos replied to Rockos's topic in Post Your Game ReMixes! Thank you Gario. I like your comments. I will check for some advice. This is the first time working with electric guitar and mixing with fl studio togheter. I was more on the electronic side but I wanted some change and guitars have some appeal. I'll continue working on this and hope I can get something good out of it. Thanks again. Rockos posted a topic in Post Your Game ReMixes! Rockos replied to Umbro's topic in Post Your Game ReMixes! 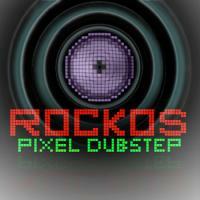 Rockos replied to Hypetreme's topic in Post Your Game ReMixes! Enjoyed the shredding . Hope to hear your next version if you do one. Hey! Your 2 FF3 mixes are great! Have you subbed them or what? I got the first one rejected a while ago. I want to perfect those track. Also I'm not sure about the 4th one. I'm still brainstorming and life got over music. I'm trying to reverse the vapor. So I'll clear up those 2 tracks that got flaws. Thanks Brandon for caring. Sorry for not caring more It was great to hear from you! Rockos replied to JDHarding's topic in Post Your Game ReMixes! Nice stuff. I really feel this. The only thing: actually the lower sounds of the original was what I found unique about the real. So the bass changer here make me lose that original perk. Still, the mix is right on. Rockos replied to Benjaipod's topic in Post Your Game ReMixes! Nice stuff. I hope they pass you. I listened to the whole song and this is awesome. The only thing you could get as a no is too sparse. But then again, this is relaxing and well made It should be okay as is. Awesome stuff. This game is amazing. I loved it so much. Best metroidvania since super metroid and xeo drifter. Awesome gameplay and story. Also there is a lot of glitch for speedrun which is awesome. I made a speedrun at 1:12. My friend stand at 0:51 and he's 31 on the speedrunner list. He made this record today and he's trying to improve. The game is gorgeous and is a must. Very recommended. OC ReMix Unveils Revolutionary New 3-Value Genre Classification System! I'm sad I missed this april fool. Genre are not showing in my browser.